Succeeding in the World of Work is an innovative, project-based curriculum that combines print and online components in a unique blended platform that gives your students the best of both worlds. It's more than just a book with online resources - it is an integrated learning platform that uses online projects, interactive activities, and video to bring concepts to life. Students will use the online resources and tools in McGraw-Hill Connect™ to interact with the content, apply what they have learned, and connect with each other and their instructors through collaboration and communication tools. What is Connect and how will it help me? 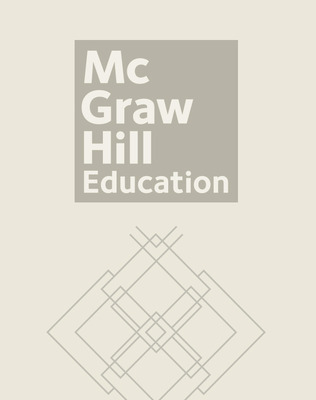 McGraw-Hill Connect™ is an online Learning Management System that harnesses the power of technology to enable more effective teaching and learning. It is an easy, effective, and reliable way for students to connect to the textbook and to homework, for teachers to manage assignments and track student progress, and for students and teachers to connect to each other. Connect tracks student progress easily and automatically with reports sorted by student, class, or topic, and makes it easy for teachers to provide individualized instruction with customized assignments based on learning goals. Why Succeeding in the World of Work? Project-based learning - Discovery Projects in each chapter require students to use critical thinking, teamwork, communication, and analysis skills. Challenge Projects provide opportunities for extended, in-depth explorations that require students to synthesize skills and concepts learned across several chapters. Academic Integration - Core academics are integrated throughout the program. The Perkins act is fully supported with rigor, relevance and relationships. Common Core Standards - Common Core Standards are incorporated in Math and English Language arts to prepare students for both college and career success. Fresh, Innovative Design - The design incorporates avatars with traditional design elements that students will find fun and interesting. McGraw-Hill Connect™ - Our learning management system gives you more time to do what you do best - teach!